Cautionary words to those who park in New York City— obey the rules, or pay the price. A computerized parking citation system rolling out to the NYPD’s parking enforcement division will effectively eliminate hand-written traffic tickets. The result: a more accurate, efficient and cost effective solution. City officials say the new system will significantly reduce errors associated with hand-written tickets and, according to some estimates; realize millions in unpaid fines owed the city. 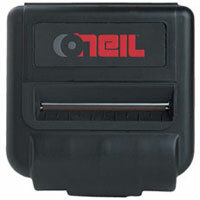 The solution consists of Symbol Technologies’ handheld computer, the PPT 2800, and Datamax-O’Neil’s portable Microflash 4t thermal printer. The terminal’s pocket PC platform and features, including bar code scanning and real-time wireless communications, allow officers to scan vehicle registration stickers, print tickets, and upload the information to a central database. The solution works well in New York City, as New York State requires that all vehicles have their registration affixed to the inside of the windshield. The registration includes a 2-D barcode, which the parking officer scans using the handheld computer, and information about the vehicle is instantly and accurately captured. A traffic summons is printed on the spot by the wearable thermal printer, which is connected to the PC via a wireless LAN. The city expects the solution to close loopholes that have allowed more than one million tickets a year to go unpaid, and all but eliminate human error. “The significant advantage is that we will go from a 13 percent error rate to less than 1 percent error rate,” Police Chief Michael Scagnelli told the New York Post, which also reported that the city could reap $17 million in extra fines. Implementation began in January 2004 and is 65 percent complete. “We thought we’d be a little further ahead, but there was a delay with ESRA [Electronic Signature Records Act],” explains Jerry Scalpone, president of Integrated Parking Solutions (formerly Duncan Management Solutions), the Michigan-based reseller handling the implementation. ESRA requires that the citation system be tamper-proof and can prove the ticket is issued by the officer who’s credited as having done so. “There was a delay while the city’s lawyers reviewed ESRA to ensure that the new system was compliant,” which Scalpone says, it is. The printer, Scalpone insists, is perfect for the job as well. “It’s simple—it’s got no buttons. You put the paper in, line it up and go.” Durability and reliability have played key roles, as these devises brave the elements, and parking officer use, every day. “The printers have stood up to the punishment that these officers put them through—dropping them, whatever would happen out there.” The only real challenge in the installation has been its sheer size. The city contracted for up to 2,000 units to be installed throughout 17 parking, enforcement command centers. Scalpone says organizing this has been a challenge. Setting up each command center to house the printers and handhelds, for example, took time and planning. And as for training the officers, “we’ve trained the trainers, and they’ve pretty much taken over,” he says.